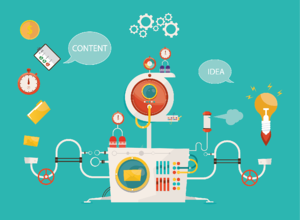 Content marketing is an essential component of any successful business. The most essential aspect of this type of marketing is connecting with your audience and producing valuable content with that specific audience in mind. This may seem like a bit of a time commitment, but taking the time to produce quality content that will benefit and provide value for your target audience is definitely worth the time. Content marketing is not only important for building trust with your audience but it also is important for generating leads, creating brand awareness, and cultivating a relationship with your potential customers. To be truly successful in your content production, you need to have a content strategy, a team for producing the content, and badass content ideas. Before creating any piece of content you need to have a content strategy. This plan involves determining your goals, gathering your resources and outlining a content production process workflow. Start by mapping your goals. Having clear objectives will help you and your team determine the best strategy for achieving those goals. The next step is to compile your resources to help figure out a feasible content production timeline that is reasonable and realistic for your team. Finally, take the time to create a content production process that includes a content calendar, content workflow, and other essentials. This creates a collaborative and easy-to-follow strategy that will guide your content production success. We all know that producing content takes a good amount of time, hard work, and organization. In order to stick with the content strategy and truly produce high-quality content, you need a savvy content production team. You may have an in-house content production team or you may have to outsource. Either way, you need a team to get the job done. Most content production teams have a writer or subject matter expert, editor, analyst, and designer. Having a team helps to divvy up the responsibilities and ensures that you stay on track with your content strategy and your content calendar. Consider including a content calendar that you revisit as your industry trends change. It keeps your team accountable for deadlines and provides an overview of what content will be produced for that designated amount of time. When I say “badass content ideas” I really mean think about content that focuses on your customers and adheres to their needs, wants, and/or problems. It’s important to think about content ideas based on their specific goal. Is it going to be premium content, a blog post, a podcast or a video? All of these different formats of content still need to start with an idea. You can never have too many content ideas as one idea often leads to another idea which leads to quality content for your audience. When brainstorming content ideas, it’s often helpful to look at what your competitors are producing for inspiration. You might be surprised by how much you can be inspired by exploring what your competitors are doing. In addition, use analytics to see what content has the most engagement and use that information to guide you as you continue to come up with badass content ideas. 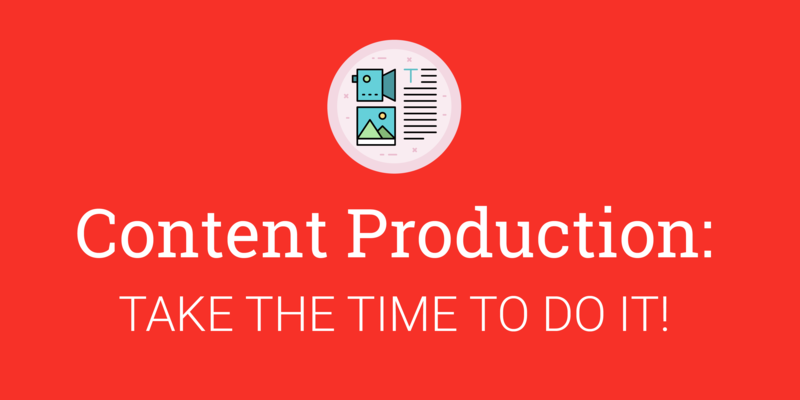 There is a great deal of time and energy that goes into producing truly worthwhile content. In order to make it relevant, timely, and enjoyable; you have to adhere to a clear strategy driven by clear objectives. The positive is that as long as you put in the effort, you will most certainly reap the rewards.